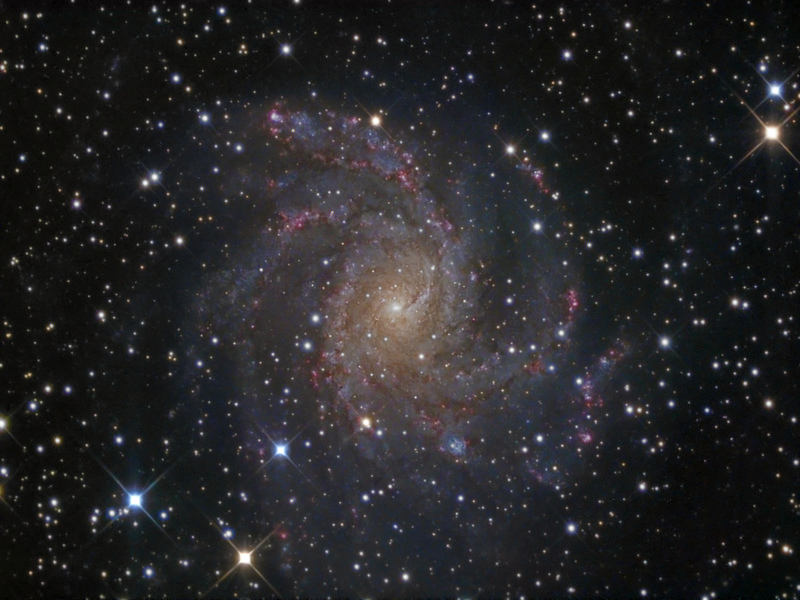 The Triangulum Galaxy (M33) in ultraviolet light. Credit: Galaxy Evolution Explorer/NASA/JPL-Caltech. The standard model and the Electric Universe model paint fundamentally different pictures of how galaxies are formed and driven. In Part One of this article, the Electric Universe theory's proposal that magnetic fields are integral to galaxy formation was examined. A galaxy originates through the Bennett pinch of two or more Birkeland currents which also trap interstellar gas as they rotate inwards towards each other. Star formation begins in the galactic core created by the interstellar plasma trapped between the Birkeland filaments. These magnetic fields tracing the spiral arms are established by current flowing through them, both from the intergalactic circuit feeding the galaxy, as well as from homopolar action of the galaxy itself. The magnetic fields Beck mentions exist because the spiral arms behave as large Birkeland filaments. In a separate paper, Beck looks at the magnetic fields in M31. The Andromeda galaxy is dominated by a magnetic ring (or torus), whose magnetic field is radially oriented. As Beck states, there is no existing explanation for this magnetic ring. However, one can imagine that homopolar motor action is driving the rotation of charged plasma at a distance from the galactic center. The moving plasma ring (i.e. electric current) establishes a magnetic field that further pinches the rotating charged torus, which further strengthens the field. Synchrotron radiation from the ring illuminates the ring in the radio spectrum. The ordered spiral arrangement of the magnetic fields, coupled with the dynamo signature overlaid on the spiral structure, aligns well with the postulated galactic circuit described in Part One. In the standard model a super-massive black hole in the galactic core is deemed essential for driving the gravitational formation of a galaxy. In contrast, the Electric Universe model views the galactic core as an incidental result of interstellar plasma trapped between two or more Birkeland filaments. In 2001, a paper by Merritt et al. proposed that M33 lacked the super-massive black hole required by the standard model. However, the authors did not completely lose faith and postulated a central black hole, but one that is over three orders of magnitude smaller than the theory requires. The stellar orbital velocities near the core are far too low to support the presence of a compact mass equivalent to the “typical” super-massive black hole. If that’s the case, then how did the galaxy form in the standard model? 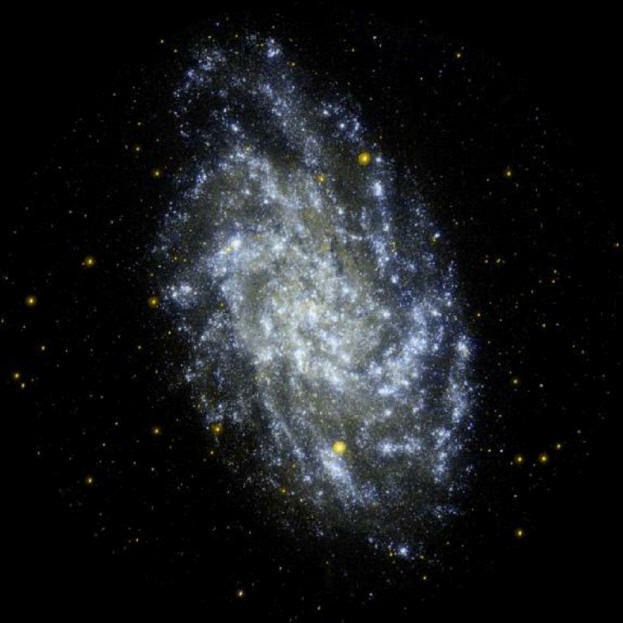 “Douglas Richstone of the University of Michigan, who has been a prominent champion of the role of black holes in galaxy formation, said he did not understand how bulgeless galaxies like M33 could have formed without a supermassive black hole. 'I think it's a problem for the black hole story,' he said." EU theory predicts that the rotational energy of a galaxy is influenced by the currents flowing radially in the galactic plane, but does not require a specific rotational velocity profile. Depending on the magnitude of the radial current, there will be different rotational velocity profiles. This is similar to what is observed with stars. Stars with greater current densities are observed to have higher rotational velocities. 1) The standard model requires the rotational velocity of a galaxy closer to the core to exhibit a steep rise (i.e. a compact body in the form of a supermassive black hole must reside in the galactic core). 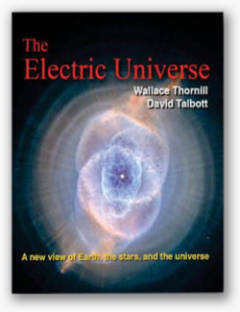 The Electric Universe model has no requirements on the velocity profile close to the core. 2) The standard model requires a flat rotational velocity towards the edge of the galaxy, indicating a dark matter halo. The Electric Universe model has no such requirement, and can explain different velocity profiles based on varying electric current densities. 3) The Electric Universe model requires galaxies to exhibit coherent large scale magnetic fields, these will be particularly evident around active star forming regions, and will trace the spiral arms. The standard model has no such requirement and would predict younger galaxies to have no coherent magnetic fields. Some obvious galactic features can be used to test the validity of the two theories. Have there been galaxies observed without “supermassive black holes” or without “dark matter”? Yes, there have and this should cause the community to rethink the validity of the model, but they have not. Have there been galaxies observed with magnetic fields exhibiting patterns predicted by the Electric Universe model? 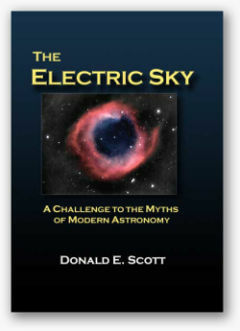 Yes, there have, and in addition there have been no galaxies observed without magnetic fields. However, the astronomical community appears to have an infinite capacity to ignore unwelcome data. It is not uncommon to discover articles where observations obviously falsify the standard model (as in the paper mentioned above) but the researchers simply claim there is more to learn. That is undoubtedly true, but they are being disingenuous by not grappling with the major issues uncovered by those findings. The wheels of change do turn slowly, but they turn nonetheless. If the history of science has shown us anything, it is that scientific dogma does not survive very long after its main supporters pass away. In the meantime, a coordinated and formalized study of the electrical properties of the Universe itself must wait. This is a shame, since there have never been better tools available for studying the magnetic and electric properties of the Universe.